Hours: Weds 5:30-7 p.m. Saturday 9-2 p.m. or by appointment. Tour groups and club/church/guild presentations available. ARCH Award winning facade made possible by a grant from the City of Fort Wayne. 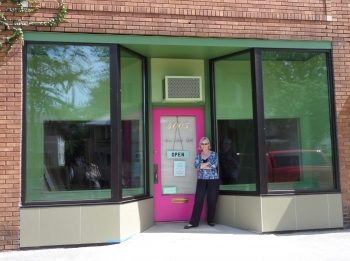 Born Again Quilts is located just 2.5 miles from downtown Fort Wayne. Head South on Fairfield, turn Right on Rudisill, a few short blocks away turn Left on South Wayne. We're located next door to the Friendly Fox the neighborhood hangout for soups, sandwiches, dessert and coffee. 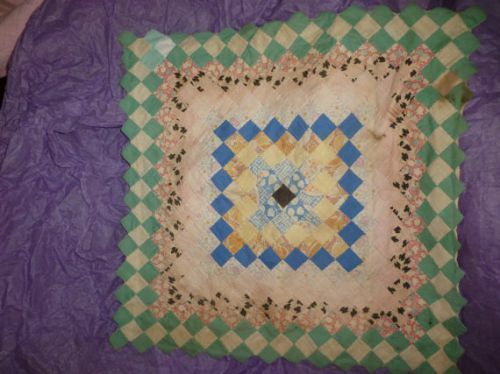 Check out our selection of vintage quilts and fabrics, vintage patterns and sewing accessories. You might be able to catch a quilt autopsy too! Every quilt is unique. It silently relates the story of its maker and the time period of its creation. Many families cherish and pass them to the next generation. Others are relegated to the auction, the garage sale, or simply thrown away. 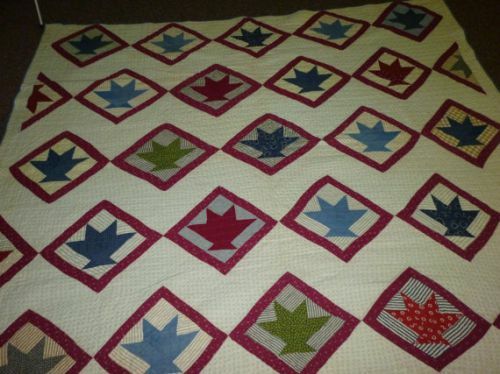 I used to collect quilts in pristine condition, but I felt sorry for those looked upon with disfavor because they weren't in "perfect" condition. I have the patience and the talent to take them back to their former glory-thus "Born Again". 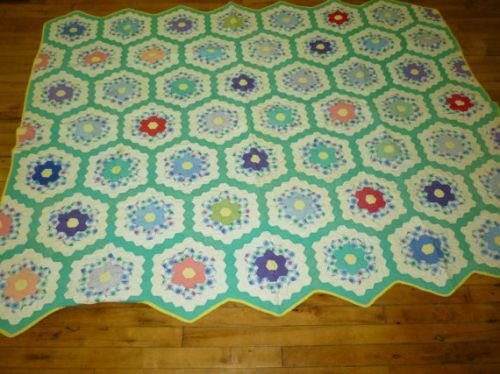 Orphaned quilt tops are a different story. They never really had a life. 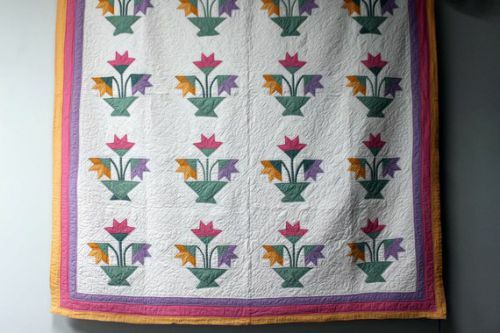 Perhaps grandma didn't have the space for a quilt frame, or arthritis took its toll, or simply she just loved to piece and didn't care to quilt. Whatever the reason many of these tops are in great condition- they never saw the light of day-just tucked away in a bureau drawer or cedar chest to be discovered after grandma passed away. 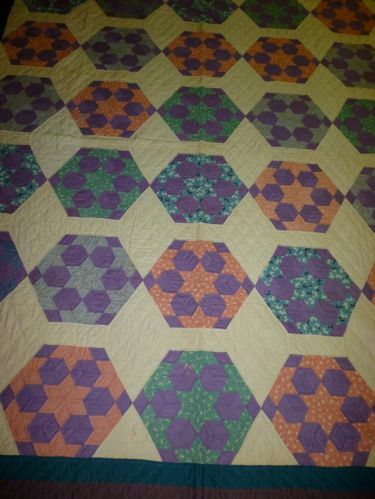 The beauty of the quilt tops is you can take what grandma started and add your own creativity to the project. 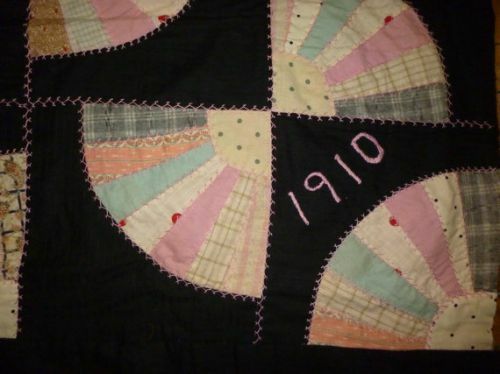 A time span quilt that can either honor grandma's original plan or dramatically changed to fit your decor and preferences. Looking for a unique heirloom for that special bride or perhaps a vintage quilt for that special baby? Lois Levihn examines FrankenBlankies and tells what they need to be "Born Again". 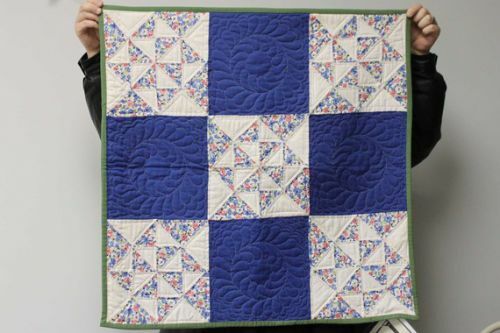 Born Again Quilts specializes in hand quilting. It brings out the heart and soul. The grand opening of Born Again Quilts' new studio October 20, 2012.